Why do people shop? And why do they shop online more and more each year? 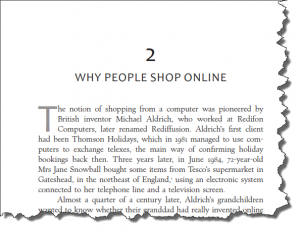 This chapter explores the reasons for us all going shopping, whether that is in the real world or in the virtual one. We go shopping for things we need – sometimes. Mostly though we go shopping for things we want. Desire is a powerful motivator for shopping. 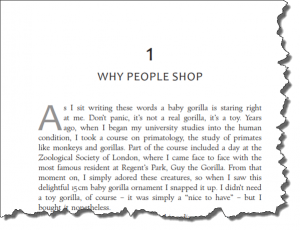 So too is the need to be social – shopping is largely a leisure and social activity, so this chapter explores the importance of being with other people when we shop. Convenience is a clear reason for shopping online, but there is so much more to virtual buying that makes people want to do it. 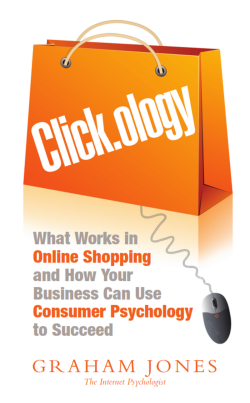 This chapter explores the other areas of what makes people love online shopping. This includes factors such as low prices, the ability to compare prices, the desire to see what other people are buying and the fact that we can get delivery on our terms. This chapter shows that the whole arena of online shopping provides us with much greater control and much wider choice, putting the shopper firmly in charge, which is something the like. People shop online differently to the way they go about buying things in bricks and mortar stores. For a start, they are much quicker online; they don’t hang around and browse. 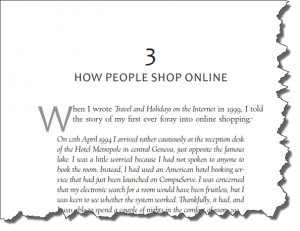 This chapter shows the different ways in which people shop online and what retailers can do about it. This chapter explores attention spans, eye movements and the overall requirements of page design.